Brandi Alexander is the National Director of Constituency for Compassion & Choices, and she has been with the organization for more than 10 years. Her dedication to educating people about having autonomy over all aspects of life, including at the end of life, has been a driving force in her career. At Compassion & Choices, she is responsible for outreach to physician, African American, faith, and LGBTQ communities. Brandi previously served as the coalition director for the Yes! On Colorado End of Life Options voter initiative campaign in 2016, which passed with more than 65 percent of the vote. She has worked on campaigns all over the nation to advance the end-of-life choice movement, including in Colorado, Vermont, Montana, and Washington, D.C., where medical aid in dying is authorized. Brandi graduated from Middlebury College with a bachelor’s degree in psychology, with a minor in French and women’s studies. She holds certificates in the Fundamentals in Gerontology and Health and Wellness in an Aging Society, through a joint program offered by the American Society on Aging and the USC Davis School of Gerontology. She has completed several Wellstone Advocacy Training units, including Direct Mail & Voter Guides, Endorsements & Outreach, and Direct Voter Contact. 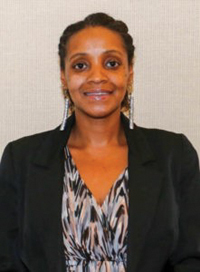 She also has completed the Management Center’s People of Color & Indigenous Cohorts training.